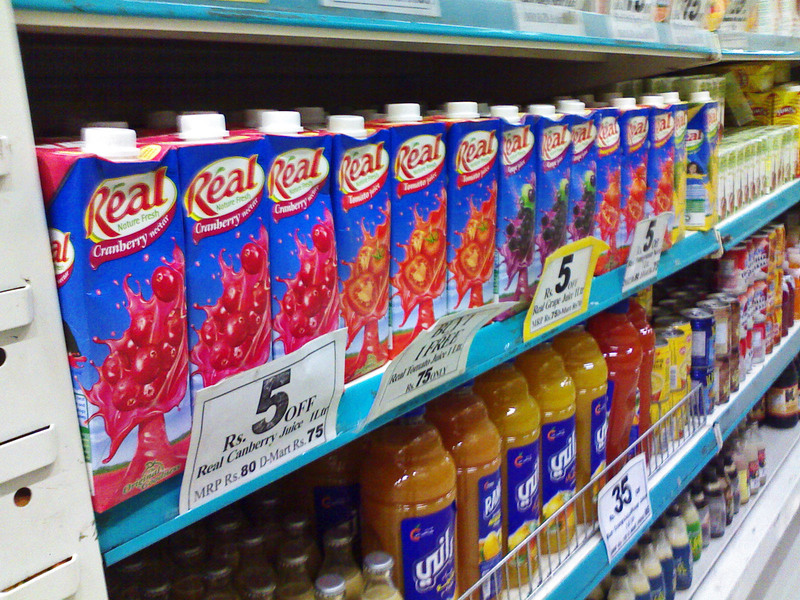 Here are two photographs of juices and milk on display at a supermarket in India. At the far end of the first shelf you will see photos of packaged buttermilk. On the last shelf at the bottom of the picture there are small glass bottles of cold coffee. 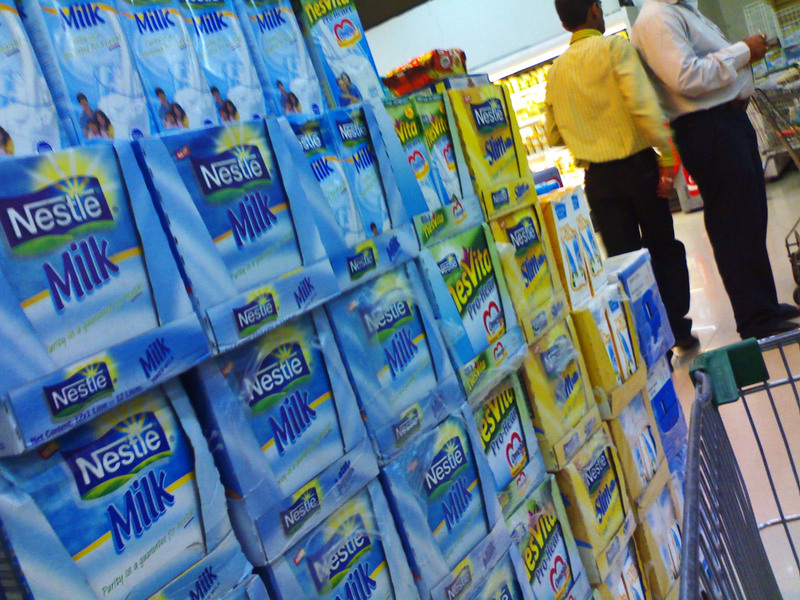 This second image shows milk tetrapacks from the Nestle company. On the far side there are some tetrapacks which contain "healthy"milk which the company claims is good for the heart. Mother Dairy tetrapacks are also seen in the picture. However Amul Milk (not in the picture) is the most popular milk.